Grant County, WI is located between Prairie Du Chien and Dubuque, IA on the south western part of the state with along both the Wisconsin River and the mighty Mississippi River. 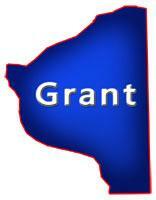 Grant is known its hills, valleys, streams, bluffs, rivers, canoeing, bird watching which also has Wyalusing State Park, Nelson Dewey State Park, Upper Mississippi River National Wildlife and Fish Refuge plus a couple communities including; Boscobel, Muscoda, Wyalusing, Fennimore, Lancaster, Platteville and Jamestown. It's surrounded by 4 other Counties; Crawford, Richland, Iowa and Lafayette. On this page you will find Waterfront Restaurants, Steakhouse, Seafood, Diners, Cafes, Fast Food, Pizzerias, Eat Stands, Barbecues, Buffets, Coffee Houses, Bars & Grills, Pubs, Taverns, Family Style, Burger Joint, Ethnic Restaurants, Casual Dining, Food Truck Services, Other Restaurants; Greek, Italian, Mexican and more located in this county listed by real estate agents. More Types of Wisconsin Commercial Properties.